After spending time amongst local communities from Buho Buho to Sopi in the north during our visit, Buho Buho and its community invited us to base ourselves at their village and have given us a building from which to base programmes. Logistically it made sense as it is located on the beach, with a surf break and a resort is being built just up the road which locals from the village will be employed at from next year. In addition the highest number of foreign tourists (mostly surfers), stayed here during the last high season from November to March. We will run mobile programmes from here to the five neighbouring villages up to Bere-Bere. 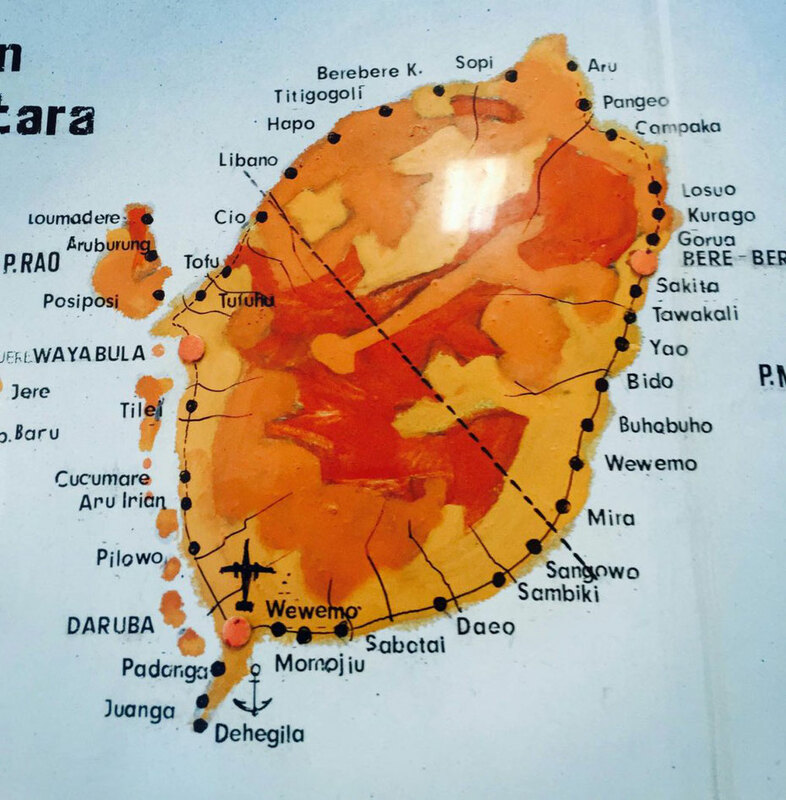 Villages in Morotai are generally either Christian or Muslim except for the capital of Daruba or larger, more isolated villages such as Sopi. Buho Buho is Christian. By having a mobile component we ensure that our programmes reach both Christian and Muslim communities. New collaboration centre in Buho Buho, meeting with the leaders of the Buho Buho youth group.